Mercy is finishing up her class 8 year and looking forward to beginning high school in 2019. She currently lives at Dream Children's Home full time; originally, she and her siblings had lived with their parents on a small farm in rural Kenya with no running water or electricity. Mercy's parents struggled on a daily basis to make ends meet; they frequently didn't have enough food to put on the table and relied on their neighbors for help. The children often missed school, as they were needed to assist the household by fetching firewood and water, cooking, and cleaning. Her parents were also unable to pay for school fees and basic necessities such as uniforms and school supplies. 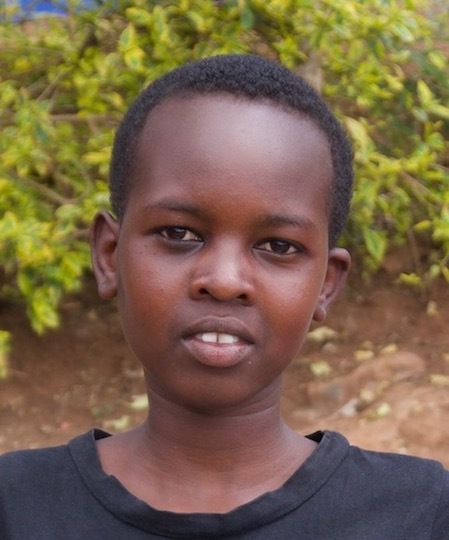 An early marriage had been planned for Mercy, but she was rescued by our program before this could occur. Mercy is a talented athlete, often competing in track meets at her school and around her county. Her older sister Magdalene is also part of the program; both of these girls are excellent students. We are excited to see what the future holds for Mercy. Consider sponsoring her today! Sponsoring Mercy's secondary education is $85/month. Thank you for supporting Just One!